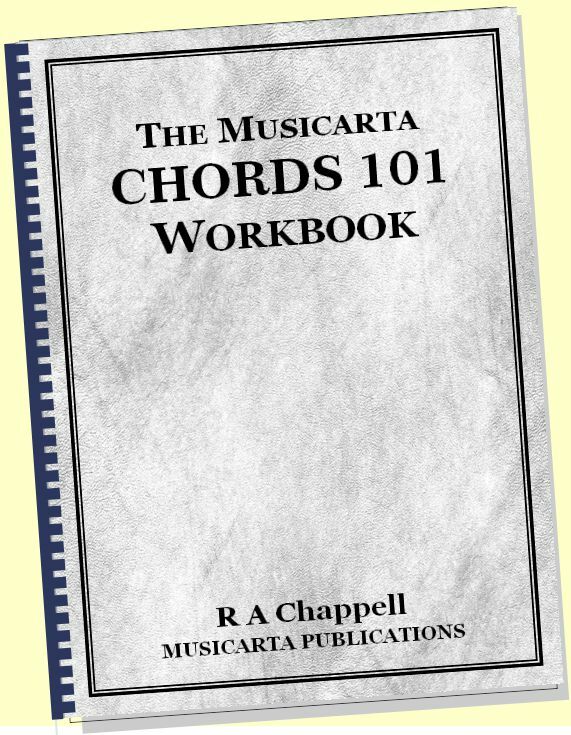 The many ‘realisations’ of the Pyramids chord sequence explored in the Pyramids Variations workbook by no means exhaust the possibilities. Committed students will find many more at their fingertips if they take a conscious decision to give their creativity free rein and ‘just sit down and play’. 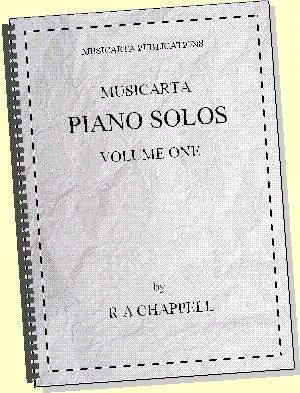 The Pyramids Diaries are Pyramids variations which Mister Musicarta has stumbled upon since the first publication of this Workbook. They have been left as stand-alones to inspire and to offer less analysed examples to copy. See the playlist at MisterMusicarta YouTube and individual web pages as applicable. Feel free to experiment with the Pyramids ‘form’. Different structures, such as a possible A1 A2 B A1 A2 version, can be tried out. Extended endings, repeating the F/E pair of chords in bars 13/14 of an A1 A2 version, or the comparable pair in a 32-bar version, can also be tried out. For performance, prolonged medleys of variations can be put together, with transitional phrases between, or even modulations into other keys. 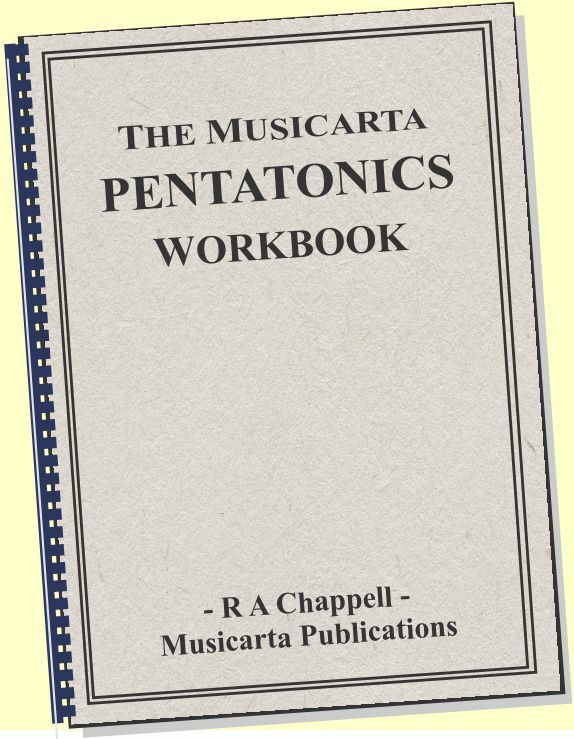 Melodic variation hasn’t been explored much in this Workbook. 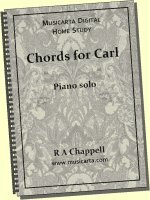 Try playing any accompaniment texture and listen internally for a different melody which fits with the Pyramids chord sequence, and then pick out your ideas at the keyboard. The rhythms and textures which the Pyramids chord sequence can support are, of course, endless. 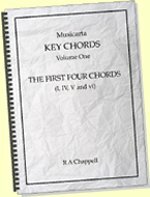 There are chord textures in this volume which have been only partially explored and other time signatures which have not been examined at all. 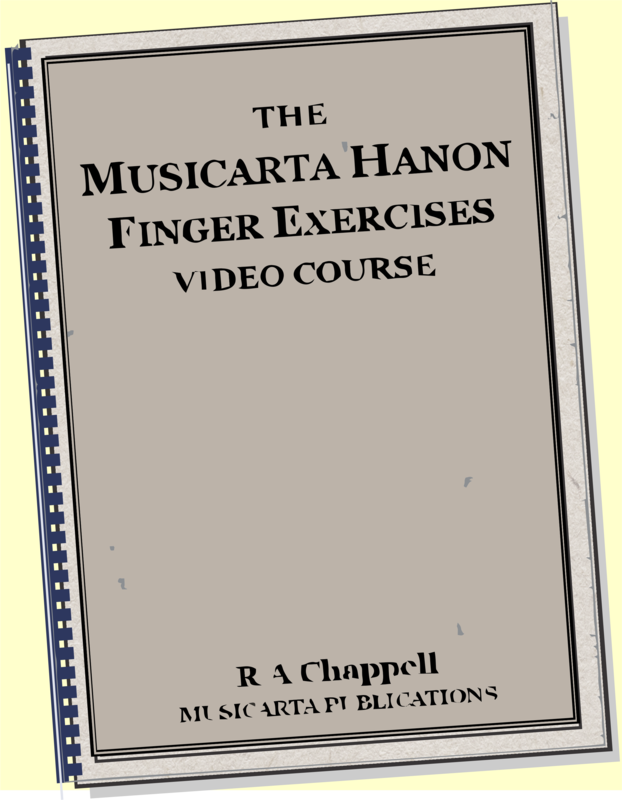 Visit the Pyramids sections of the Musicarta website and YouTube channels for more developmental material, such as the three 'seed versions' on Variations Sample page deliberately left incomplete for pupils to finish. A committed composition or improvisation teacher can easily provide similar examples. Enhance them with just the right amount of circle of fifths harmony. 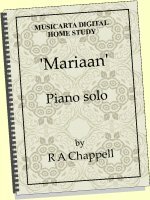 The Pyramids melody (with or without variations and improvisations) can be played by any solo instrument with free keyboard accompaniment. Two keyboard players who know the material can work up keyboard duet arrangements. The material - especially in four-four - could even be performed by a rock combo. Where two keyboards are available, multiple four-hand possibilities arise. In addition to ‘duetting’, the teacher or more experienced player can provide a background accompaniment to lend security to practising and soloing. 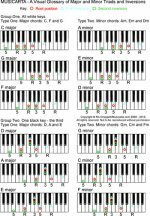 Once known, the Pyramids chord sequence can be the focus of intensive ear training, either ‘freestyle’ or in line with exam syllabi. In a two-keyboard teaching situation, copying melodic fragments and textures in a call-and-response texture is particularly fruitful. 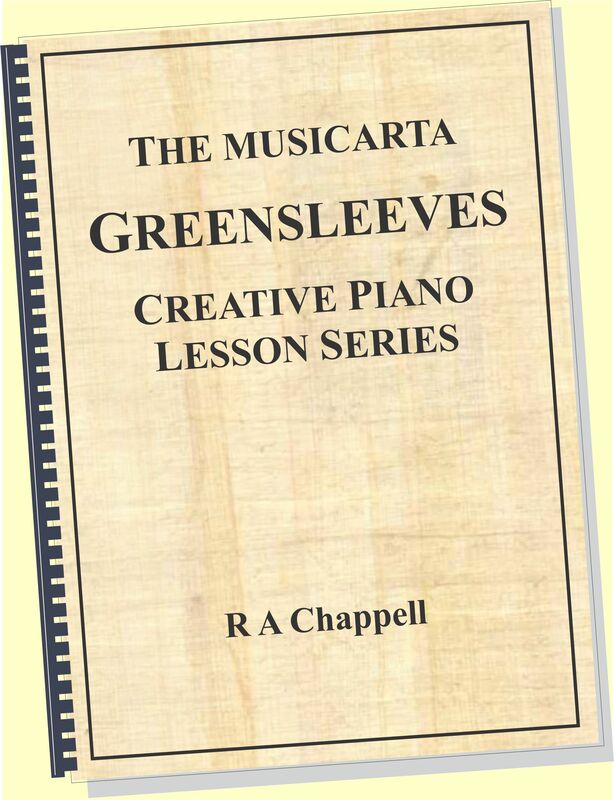 Moving forward, Musicarta hopes that Pyramids Variations students will understand the advantage of having examined the Pyramids chord sequence in such depth, and use the Pyramids Variations as a springboard into their own creative futures by going on to apply the skills learnt to other material.